While they may not immediately come to mind as the most severe work injuries, it is important to realize that knee or hip injuries may be life-changing. These kinds of injuries can make walking extremely difficult or impossible and may cause immense pain. When these kinds of injuries are caused on the job, or as a result of overuse on the job, it is important that those injured are able to recover compensation necessary to replace lost income and pay bills and expenses. Fortunately, the workers’ compensation system exists to provide precisely this mechanism. That said, obtaining benefits can be a complex process that is confusing and difficult, particularly for newly injured workers. Because of this, it is important to reach out to a skilled legal team that will bring a needed expertise to efficiently and effectively navigate the process. The lawyer and team at Ballard Law Firm have dedicated themselves to workers’ compensation issues for more than 20 years. 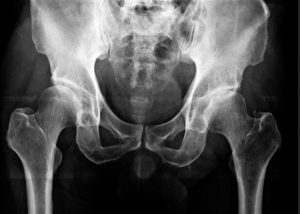 If you or a loved one has suffered a serious or debilitating hip or knee injury, we are prepared to do everything possible to obtain the compensation you need. We encourage you to get in touch and schedule a free, no-risk consultation to discuss how we can bring the approach that has obtained benefits for thousands of workers to work for you.